Tote bags are a fun project. Choose a quick, simple pattern and make different totes for different uses. Sturdy fabrics such as canvas, denim, drapery fabric, and upholstery fabric are best for tote bags. Since tote bags seldom require cleaning, novelty drapery and upholstery fabrics can be fun choices. Choose your interfacing based on the bag fabric and style. A lightweight fabric needs a stiffer interfacing than a heavier fabric. Some styles may do well with the stiff, craft interfacings now available. Cotton fabrics are a perfect choice for a tote bag lining. Choose a sturdy, all purpose muslin, a colorful broadcloth, or an attractive cotton print. 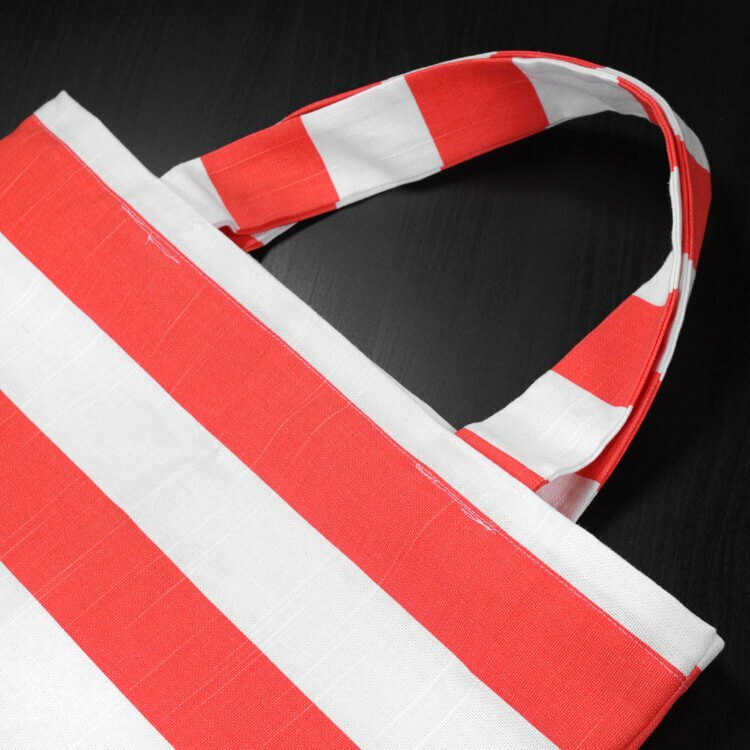 Here’s a video tutorial on how to make a simple tote bag. Find the full written instructions here. Find more bags and accessories tutorials here.